Renewable energy is the term used to describe energy flows that occur naturally and continuously in the environment, such as energy from the wind, waves or tides. The origin of the majority of these sources can be traced back to either the sun (energy from the sun helps to drive the earth's weather patterns) or the gravitational effects of the sun and the moon. This means that these sources are essentially inexhaustible. Air Source Heat Pumps absorb heat from the outside to heat buildings. There are two types of air-source heating systems. Air-to-air systems provide warm air, which is circulated to heat the building. The other type, air-to-water, heat water to provide heating to a building through radiators or an under floor system. Benefits of a Sanyo CO2 ECO System. Unlike other heat pump systems which use a group of environmentally harmful gases called Hydrofluorocarbons (HFCs and HCFCs), SANYO’s solution is to use R744 as its refrigerant, which is carbon dioxide (CO2), an entirely natural and non-toxic gas that is sealed within the system. Low installation & running costs. The CO2 ECO Heating System is simple to install and increased efficiency means investment payback can be realised within the following years. 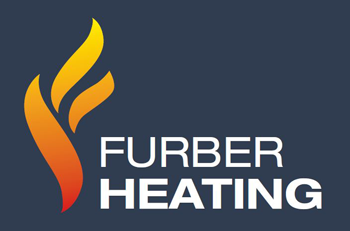 It is compatible with all standard radiators and under floor heating systems so there is no need to replace anything but your existing boiler. Around three quarters of an average household’s power consumption is taken by water and space heating. Because the CO2 ECO Heating System heat pump boiler is highly efficient and takes two thirds of its energy consumption free from the air, you can look forward to greatly reduced fuel bills. The CO2 ECO Heating System Heat Pump does not require any of the annual safety inspections and regular maintenance required for gas and oil boilers making this an extremely convenient and low cost option. 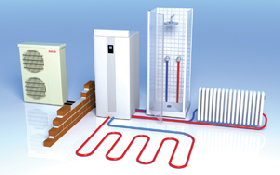 CO2 ECO Heating System only uses water and electricity to operate so it is ideal for properties that are not connected to the mains gas supply. With a choice between 4.5 and 9.0kW capacity models and a single or 3-phase power supply, it is uniquely flexible to meet the needs of homes and small commercial properties alike. 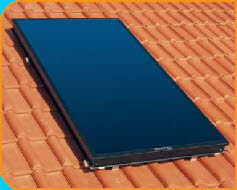 Solar thermal heating for domestic hot water is the fastest growing renewable technology across Europe. Using radiation from the sun, a sophisticated solar collector is used to transfer the maximum amount of energy possible in to a fluid which runs through the collector and which is then used to indirectly heat water in a storage cylinder.